One year ago today is when I debuted this video podcast and named it “Ham Radio 2.0” with the release of Episode 2: DMR Presentation at the North Richland Hills Amateur Radio Club. I’ll tell you more about how it came to be when you watch the video. The first thing you might notice is that this is episode 38, but there is no episode 37. Well I have an episode 37 that I will be posting next week – I planned to get it done previous to this video, but I ran behind on editing. So these two episodes will debut out of order. I also mention in the video that I will be giving away a radio. The giveaway radio will be a Connect Systems CS800 Mobile DMR Radio. To qualify to win this radio, no donation is needed. Instead please share the link to this post on your Facebook, Twitter or Google+ page. The exact link to share is: http://tinyurl.com/jyqo58a. Comment in the section below to let me know what you shared the link, and want to be entered into the drawing. I will draw from the names of posters in the comment section on this blog on June 5. Thanks to everyone who has supported my efforts for these videos, I am excited to see where the next year takes us. I just found your channel about a month ago. I just got my technician license a couple of weeks ago-KM6CHZ. Your videos have been helpful. Thanks. Please enter me in the drawing. Thanks for sharing on Facebook. Like your videos. 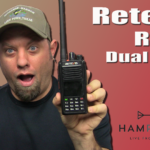 I prefer the reviews of the radios and other product reviews especially the new DMR radios. Keep up the good work. Km4mcm Alvin Cantrell please enter me in drawing. I’ve really enjoyed your reviews and your the “how to” information. please include me in the drawing, I appreciate the videos and own 4 different chinese radios. Hey Jason, greetings from Tennessee. I really enjoy your videos and have been watching for quite some time. 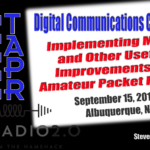 I’ve learned quite a bit about DMR from your channel and it has really sparked my interest in digital radios. I would appreciate it if you could add me to the drawing. Thanks and keep it up! I forgot to mention, I don’t have Facebook, Twitter, or Google+. But I did post a screenshot of this page, and the link above, to Instagram. Instagram works. I don’t have an account there, but if you posted a link, that is great. Thanks again for watching. Thanks for the great videos. I have shared the link on facebook. I have enjoyed learning about DMR and the reviews of radios other than just icom and yeasu. 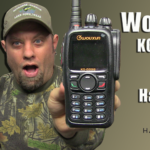 I think that one of the big faults of other ham radio shows is that they only show one brand (icom) in their videos. I look forward to seeing what comes next. Thanks Michael. Yea I wanted to review the ones that no one else was selling, and have those available since not many others carried them. Happy 1 year anniversary, Jason! Great job on the videos. Please throw my name/call in the hat – I shared the link. Please add me to the drawing Jason. I am a new licensed ham only 5 days now. I started watching your videos to learn the radios.. I am blind and your descriptions help me alot. Congrats on your new license, and thanks for watching. Thanks for all the great videos, they have been a great help for this newbie! BTW, I shared the video! I shared the link on Twitter. Please enter me in the drawing. I bought a junta I thanks for the info. You are doing great. Thanks for all your support, Rod. Shared! Put my name in the hat! Nice job and Happy Anniversary! Love the videos. Keep them coming. Oh by the way add me to the drawing!!!!! I shared it on my twitter and Facebook and Google Plus and I would like to enter please. Congrats on making it one year. Please enter me in the drawing and keep up the great work. Really enjoy watching your videos. Thanks Bill, glad to have your support. I would say you are doing a great job even if you didn’t give things away. I know I look forward to each episode and and seeing what you have coming up. I hope you get to do a live stream, that would be fun. I wish you continued growth and success with the podcast. Thanks Chris, I’ve really enjoyed doing the series and I have some cool plans for the next year. The live stream is something I am working on, for sure. I just found your site. I’m taking the Technician test next month and viewed Ep 35 to supplement my studying. Good stuff! Please enter me in your drawing. Live from my ham shack. Thanks jason. 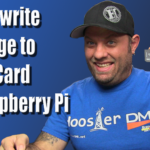 Thanks Joe, glad to hear you on DMR. Thanks for watching. Great videos. I just came across your videos a few days ago, and I really enjoy them. 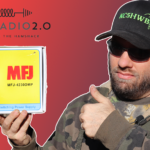 I like your program style and perspectives on Ham Radio 2.0. It’s great to find information about these new radios. Please add me to the drawing, and keep up th egreat work! I just found your websites and videos doing some research on DMR. Very nicely done, and very informative. I also appreciate the instructional videos on the Chinese radios. Thanks so much! I love your 2.0 videos. I hope that you can come to the RATS Frostfest in Richmond, Va. some February. It’s a well organized one day event and a lot of fun. Please enter me in your drawing. I had planned to come to Frostfest last year, but it didn’t work out. I wasn’t able to get ahold of the leaders of the show a couple of months before the show date. I did trade some emails with them about 4-6 months before the date, and they were very responsive, but then they just stopped replying. Not sure if their email system was having issues, or what the problem was. As a brand new Ham I really need that great radio. I posted on Facebook about this video. I love the unboxing videos also. Keep up the great work Jason. Thanks for watching and for sharing to Facebook. Thanks for your efforts. Enjoyed watching the Tech class videos… just one more resource for those wanting their ham ticket. Please enter me into the drawing! I really like the downloads you have on your site, the prebuilt files did help a ton. I would also like to get another cs800 from you, please put me in the drawing. Thanks for taking the time to show new radios. Not too late, drawing will be held around June 4. Thanks for watching. Hi. Just love to watch the show. 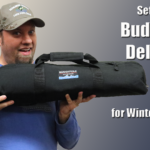 Great down-to-earth coverage of all things Ham Radio! Your videos made me eventually buy an MD-380 and got my feet wet in DMR! Love it so far! Thanks for what you do on here! I will be sharing the link on my Facebook, Twitter and Goodle+ pages. Enjoy your videos. Keep up the great work. Shared a link to episode 38 on Gplus. Thanks for watching and sharing. I’m new to the HAM radio scene. I’m 57yrs old, and want to start a big hobby. I appreciate your videos, and enjoying it. I’m Glad I stumbeled across it.